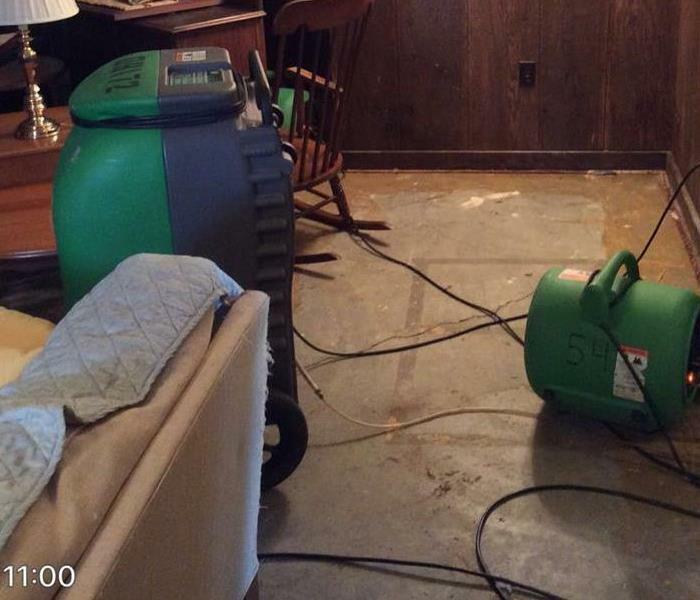 SERVPRO of Harrisonburg/Rockingham County is a local team that specializes in serving the community 24 hours, 7 days a week with the clean-up and reconstruction of homes due to water, fire, and mold damage from floods, storms, busted pipes, fires, and indoor air quality threats. We are IICRC Certified, a Lead Safe Certified business, and have experience working in residential homes, commercial businesses, schools, universities, municipalities, assisted living facilities, property management companies, hospitals, and manufacturing plants. Our resources include trucks, trailers, portable generators, and more than 1,000 pieces of drying and deodorizing equipment. We can have more than 50 trained employees on site. Due to the nature of our business, we are prepared to mobilize and have initial personnel arrive on-site within two hours of receiving an emergency response call.